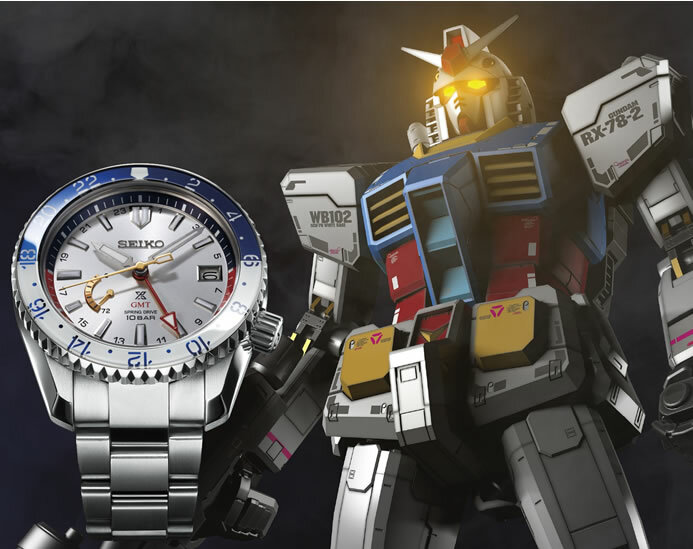 Seiko is celebrating the 40th anniversary of “Mobile Suit Gundam” with the launch of three limited edition Gundam-themed watches from their Prospex LX series. The limited edition series will feature RX-78-2 Gundam, MS-06 Zaku II, and MS-06S Zaku II Char Custom suit inspired watches, with each themed watch being released in limited quantities. To be released in a batch of 30 watches on Aug 9, the lead watch of the series is fittingly based off of the RX-78-2 Gundam mobile suit, and is done up in its classic color scheme. The watch also displays the Earth Federation Forces mark, and the watch’s 12 is designed to resemble the suit’s head sensor unit. The limited edition watch will be available for approximately 630,000 yen ($5660). 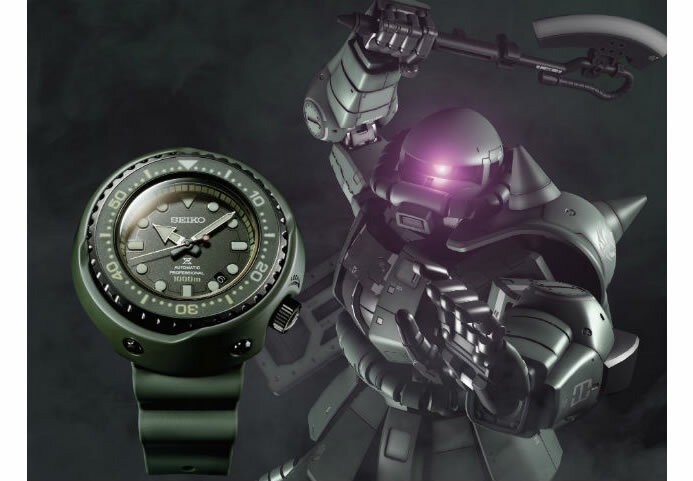 The second watch in the series, the Zaku II features its anime counterpart’s dark military green color scheme, as well a glowing pink circle reminiscent of the Zaku II’s cyclopedia eye. It’ll be mass produced in batches of 1,000 units and will be available in April 12 for 400,000 yen ($3595). 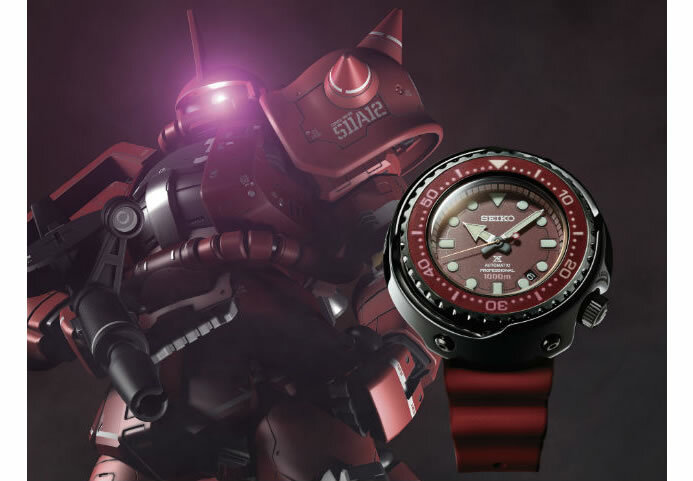 Themed after Char Aznable’s custom MS-06S Zaku II, the third watch features the same crimson color scheme as the horned leader unit. 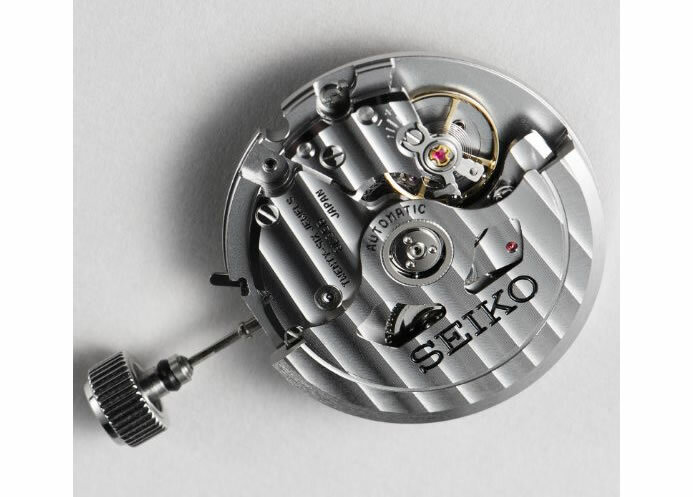 This watch will be available in April 12 for 400,000 yen ($3595), in a batch of 1,000 units.